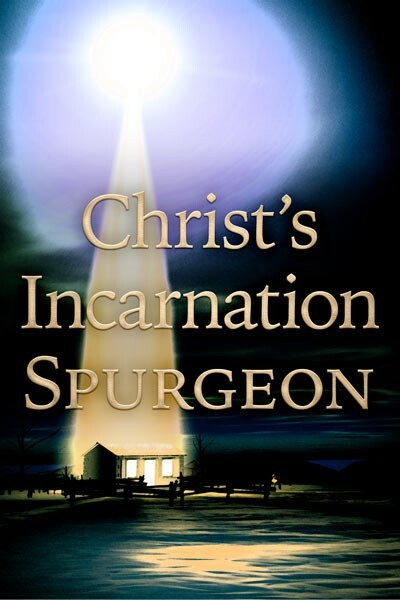 Christ's Incarnation, by C. H. Spurgeon, is a small work on an extremely important theme. Spurgeon gives full treatment to the cardinal doctrine that God was "manifest of the flesh" in His son Jesus Christ. His reinforcement of this truth effectively combats any denial of Jesus Christ's Deity. He writes, "'There is more of God's glory and majesty to be seen in the manger and the cross, than in the sparkling stars above, the rolling deep below, the towering mountain, the teeming valleys, the abodes of life, or the abyss of death. Let us then give ourselves up to holy wonder, such as will produce gratitude, worship, love, and confidence, as we think of that great 'mystery of godliness, God manifest in the flesh.'"